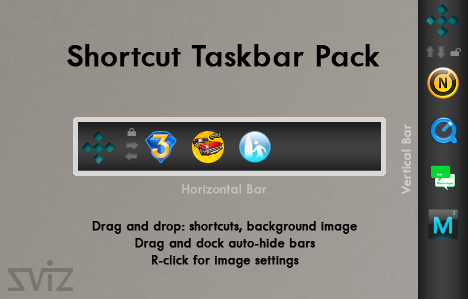 The shortcut taskbar pack includes one vertical and one horizontal taskbar. Thanks to Redneckdude and Winmonster2. Great job, Eve! Love it! I almost missed this. Nice work, and thanks.